Our FIRST Tuesday lunchtime market of 2018 will be held on Tuesday 6th March, 11.30am to 2.30pm on Bridgeford Street M15 6FH. Come and find us just off Oxford Road, next to the Manchester Museum. It’s finally time! 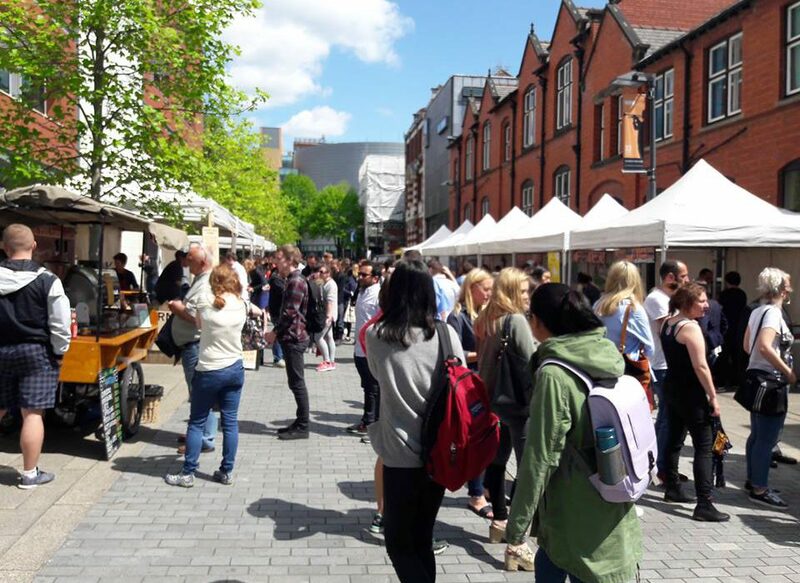 We’re delighted to announce that we are BACK at our second home on Bridgeford Street, feeding the good people of the University of Manchester with a truly spectacular selection of street food, desserts, deli snacks, Fairtrade coffee and lots more. We’ve got your faves – from Wrapscallion and North West Game to Nasi Lemak and The Ottomen – along with some new foodie faces, such as Churros1 and Deli on the Market. Sushi, Mauritian snacks, warming Thai dishes, paella, burritos…we’ve got it all! Wrap up warm and we’ll see you there for your first Levy Market serving of the term!